Car theft in India is more common than most other forms of thefts or burglary. A recent report has highlighted some disturbing figures. 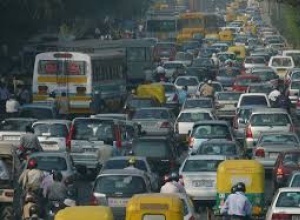 In Delhi, 70 vehicles are reported missing every day. Auto theft is a crime chartbuster in the national capital, which also happens to have maximum number of vehicles in the country. On a national scale, nearly 36,000 vehicles worth Rs 115 crore are reported missing, out of which about 14,500 are retraced. Of those that are retraced, most are found to be ill-equipped for the road and missing important components. Why cars go missing and how to avoid it? Most car thefts happen due to the negligence of the owner while parking, says Mumbai Police. Park at a secure location - The best defense against vehicle theft is parking your vehicle at secure facilities. Etch the number on windows: Getting the number of the car etched on the windscreens and window glasses help police trace the stolen car. Lock it up: Using steering lock, clutch lock, brake lock etc, and using theft tracking device are other measures that that can deter car thieves. If not for above, the entire IDV minus excess is paid to the insured, in case of theft. 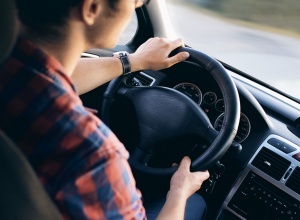 IDV or Insured's Declared Value is the sum assured by the company to the policy holder in order to replace the car in case of theft or more than 75 percent damages in an accident. IDV is arrived based on present value of the vehicle and the age of the vehicle (depreciation). While, excess is the amount deducted by the insurance company from sum assured at the time of claim settlement. There are two types of excesses, one that is mandatory and the second is a voluntary option given to the insured to reduce their premium burden. The second option is best left untouched since it’s voluntary and will only reduce the final settlement amount paid by the insurance company to the insured. An insurer may not disburse the full value of IDV at the time of claim settlement, if the insured had not reduced the IDV by 10 percent from last year’s IDV or increased it (at the time of buying or renewing policy). It is to be noted that filing a First Information Report (FIR) is necessary in case of theft. Documents as required by your insurer along with the FIR (which is released by Police in approximately three months) need to be filed with your insurer post which the amount is processed by the insurance company in a month.